Organizations continue to adopt cloud services to transform their businesses. However, while software-as-a-service (SaaS) enables exciting new opportunities for companies of all sizes, it also adds new attack surfaces beyond the traditional network perimeter. 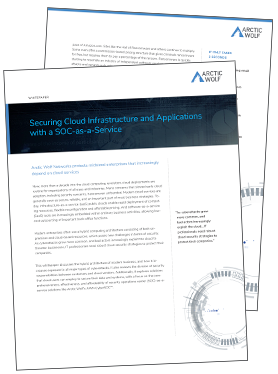 Find out how your organization can leverage the cloud without compromising your overall security posture. Download the white paper today!